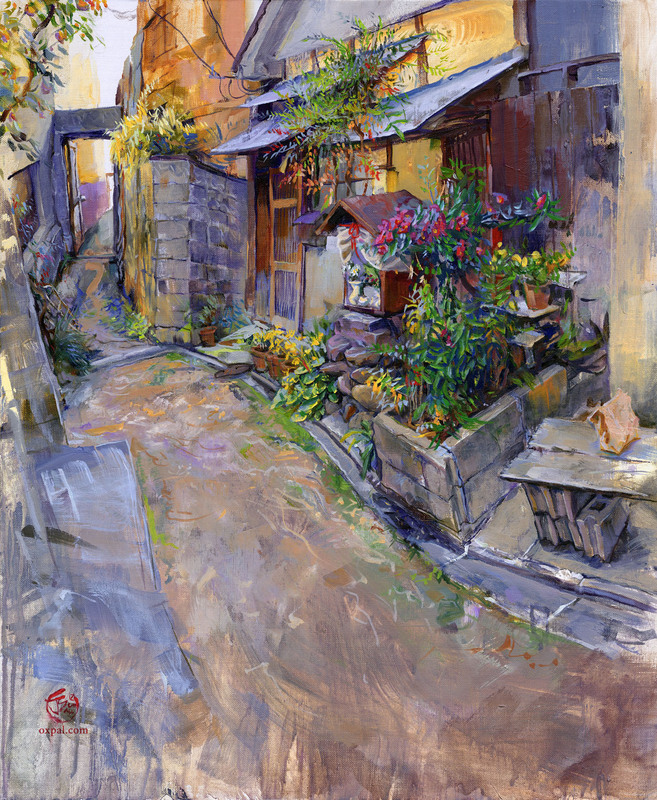 One more painting of my Kyoto Art-In-Residence that I didn’t post yet. It’s about time. This is the tallest and the one I spend most time planning – I’ll show some sketches here. Only discovered this area in the last week of my stay. 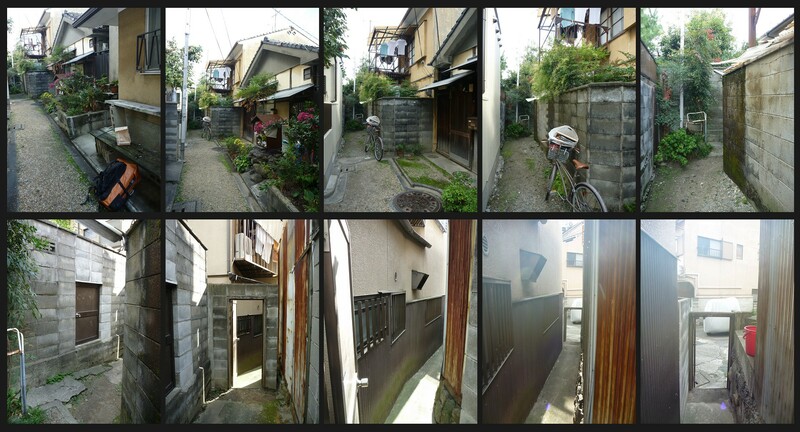 Some areas of Kyoto are crazy mazes – none of it can be seen on maps. Around every corner is something surprising. I tried to put my journey through one of those back-alley paths into the painting. 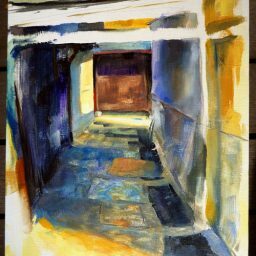 I started the whole thing with getting impressions of different areas and angles, that I planed to combine. 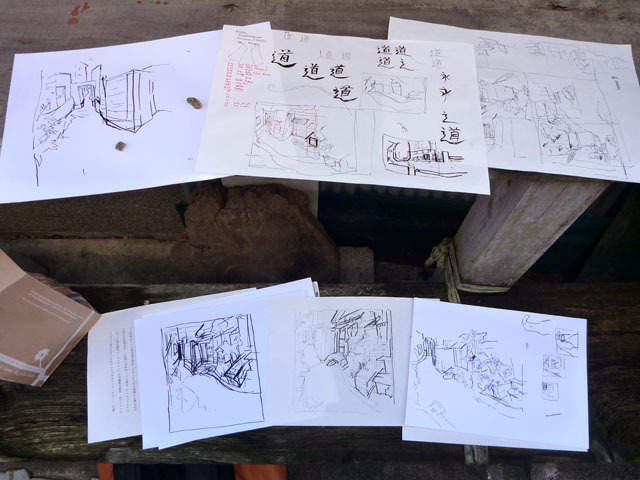 The first sketches – getting an impression of the different parts of the path. 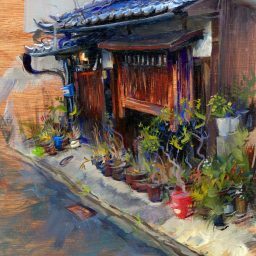 To show what I mean, I combined some photos of the whole way into an animation. 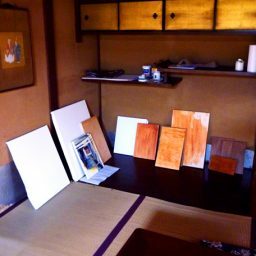 Animation of the positions I took for painting (still image). It took quite some planning to figure out how to stitch the elements together. The path could have gone straight, or bend up or down. I’ve decided to use some dynamic progression to show movement. More sketches …. and a little lunch-bag from the neighbors there. Then I basically just had to haul my easel around from spot to spot and paint each part. 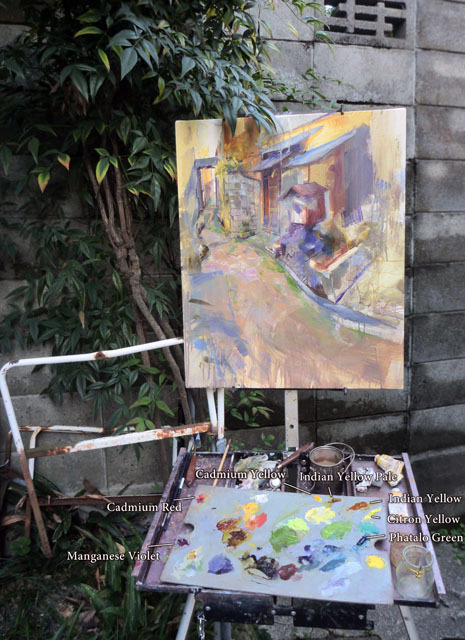 Here is an in-between step of my painting process (you can see more palettes I use for paintings, and work in progress steps in the tags). The setup with an early version of the image and the colors I used for mixing. Thanks Sergey, glad you like it. I’m kinda on the lookout for places to show the art, since CGHUB (a site I used) went down. I’m a bit hesitant to try many pages, since it’s always a lot of work to update all places. Not too happy with pinterest so far. Thanks for the tip – maybe I’ll give flickr a shot.